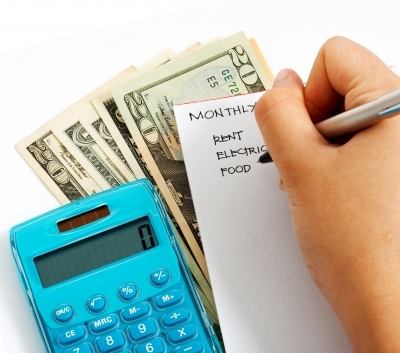 It’s a truism: if you want to save money, you have to have a budget. There are all kinds of budget systems out there. Some people put all their cash for the month into envelopes for each category (groceries, clothes, etc. ), whether actual envelopes or virtual ones. Some people use percentages to guide their spending and saving. I use your basic line-item budget in Excel. We have fixed expenses, expenses that are somewhat variable (the cable bill, which can vary according to movies rented/purchased; the water bill), and expenses that are extremely variable (take-out, gasoline, gifts, medical co-pays). I lump anything that doesn’t recur every month under “miscellaneous” and allot a huge amount to this. Then when I sit down to plan out the month ahead, I just try to anticipate what miscellaneous expenses might occur (birthday gifts, oil changes, winter coats, school fundraisers, etc.). I don’t have the time to mess around with too many categories. The ones in italics are the ones I have control over and the ones I track closely. As the month goes on, I check my checking account online and update the spreadsheet every few days. I have the sheet set up such that there is a box that tells me what my budget surplus is, based on my estimated income and expenses for the month. So as the boxes with the actual amounts slowly fill in, I start to get an idea of how much surplus (if any) I will really have. Checking the transactions as often as possible seems to keep me motivated to avoid going over budget in the discretionary categories, especially toward the end of the month. Surplus money, right now, needs to go toward paying credit cards down to zero, at which point, I swear to God, I am cutting them up. They aren’t that high, relatively speaking, but I want to be putting that surplus into savings or paying off the mortgage early. For March, we did have a small surplus. The budget is another way for me to start to teach the kids about money. My oldest (7 years old) gets an allowance, contingent on his doing certain chores. He has a nice stash of cash in his piggy bank. As the budget got tight towards the end of March, I explained to him about the budget and that Mommy didn’t have any more money to spend on certain things, but that he could use his money, if he wanted. For example, he wanted to go to the skating center on Sunday; I thought we should go to the (free) library. So we compromised, with him paying his own admission and me paying for his brother. It is interesting to see the wheels turning in his head as he decides just what is worth parting with his hard-earned money. You may recall that I had a mental lapse and bought my son brand-new cleats for baseball. A few days later, I found a used pair for $14.50 (including shipping) on eBay. 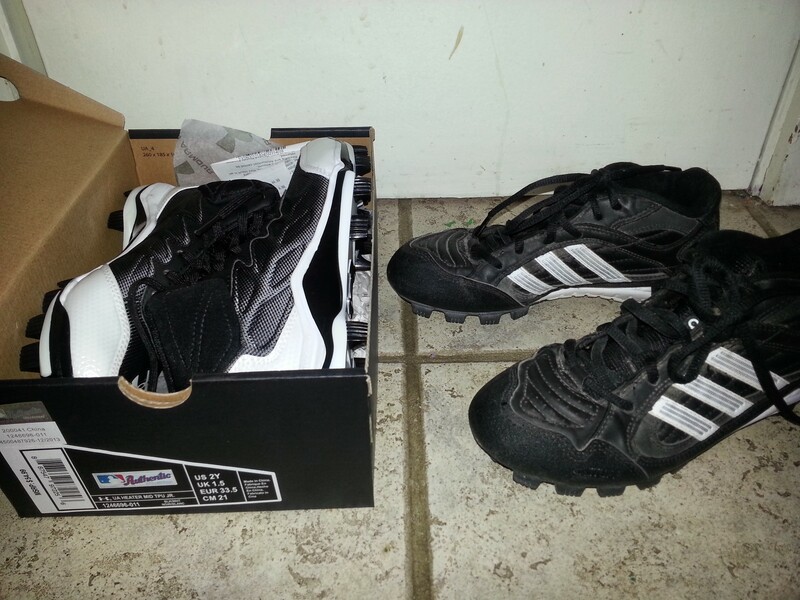 When the eBay cleats arrived, my son pouted a little because he liked the new ones; he had picked them out. I explained how he won’t be wearing these cleats much, and how we would save $30 by using the new ones. Thirty dollars, incidentally, is about what it cost for him, his brother, and me to go to the skating center, which I pointed out. I could see the little light bulb going on over his head. Experiences, not things. How do you teach your kids about handling money?